The Mono County Economic Development, Tourism & Film Commission is dedicated to improving and strengthening the tourism economy in Mono County. The Mono County Tourism & Film Commission meets the last Tuesday of each month in various locations throughout Mono County. Upcoming meeting agendas and past meeting&apos;s minutes can be viewed here. California&apos;s Eastern Sierra Nevada offers the most unique and impressive landscapes in the world. If you&apos;re looking for roads winding through dramatic mountain backdrops, sparkling mountain lakes and waterfalls, authentic ghost towns, bubbling hot springs or moon-like rock formations, search no further! 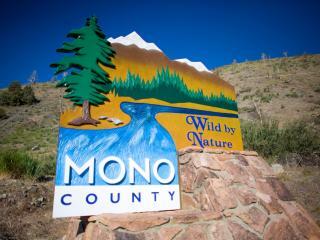 It&apos;s here in Mono County! Please visit FilmMonoCounty.com for more information.